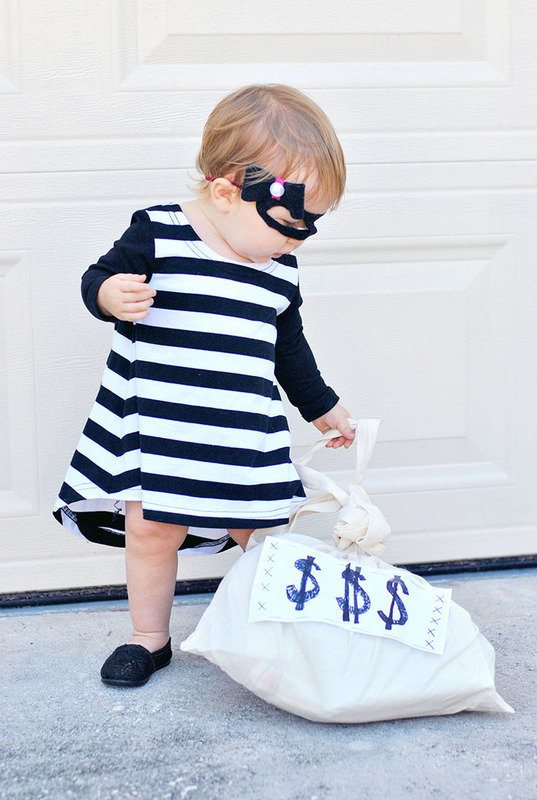 This little lady is a criminal. 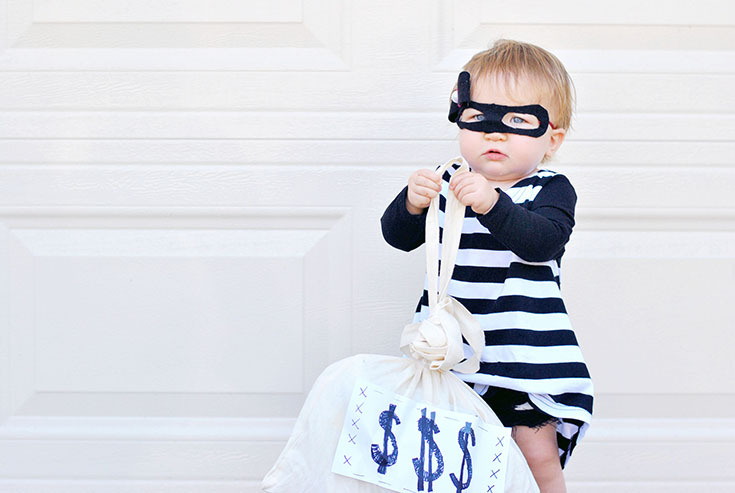 But she's certainly guilty of stealing my heart. 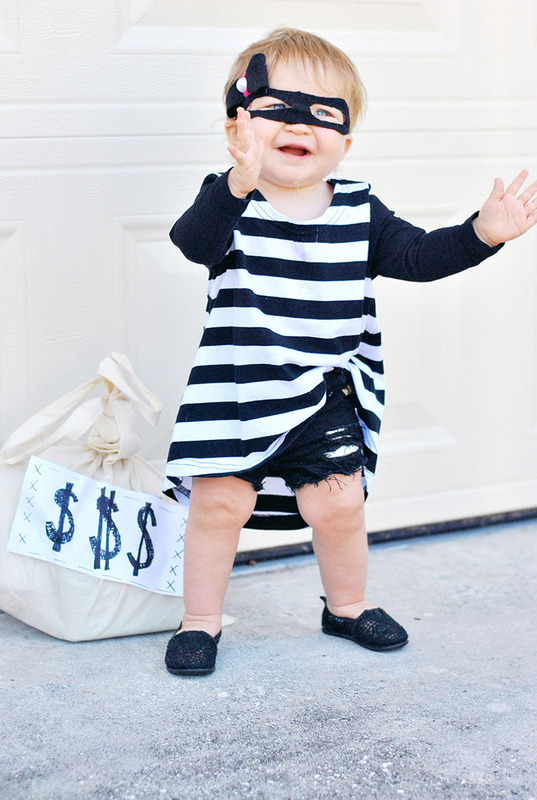 I feel like I need to share, her daddy may or may not have said she's stealing funds for our shared shoe shopping habit... and well, his "confession" may be true. Are you a fellow shoe-aholic looking to fund your habits? 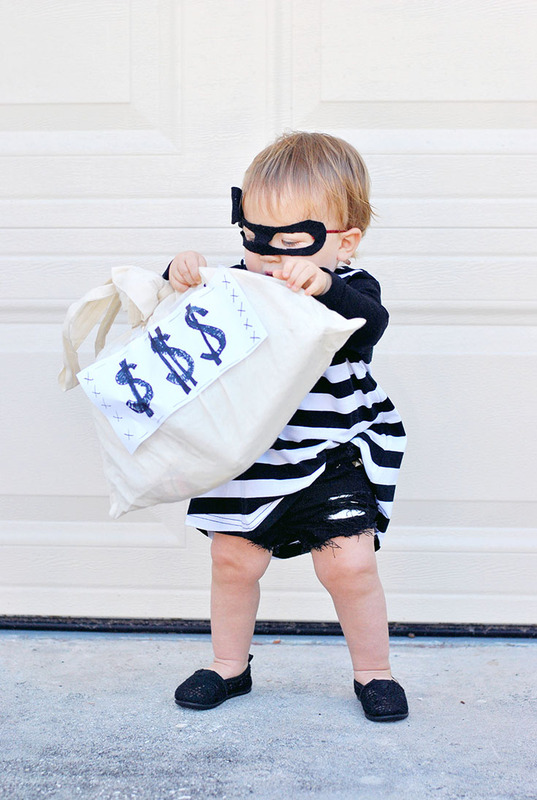 Maybe you are you looking for a super cute costume for your kiddo that's easy to put together? 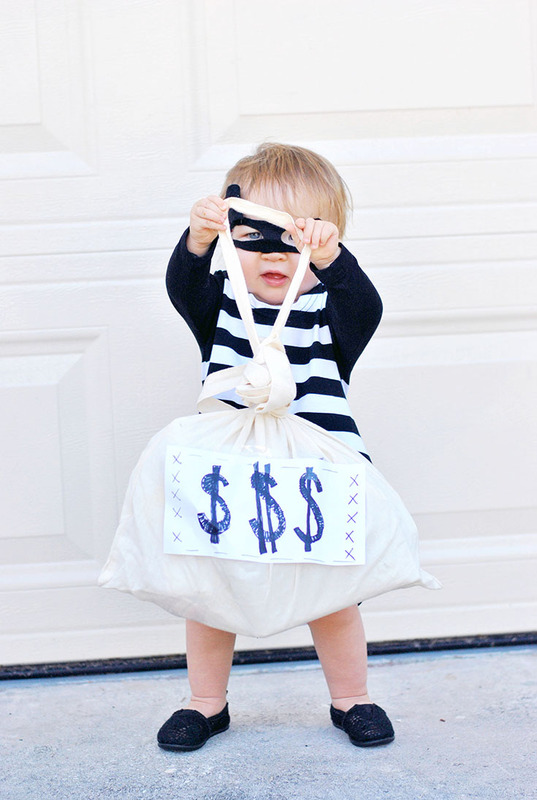 This is it - This DIY Bank Robber Bandit Costume is the perfect last minute getup and so easy to put together! 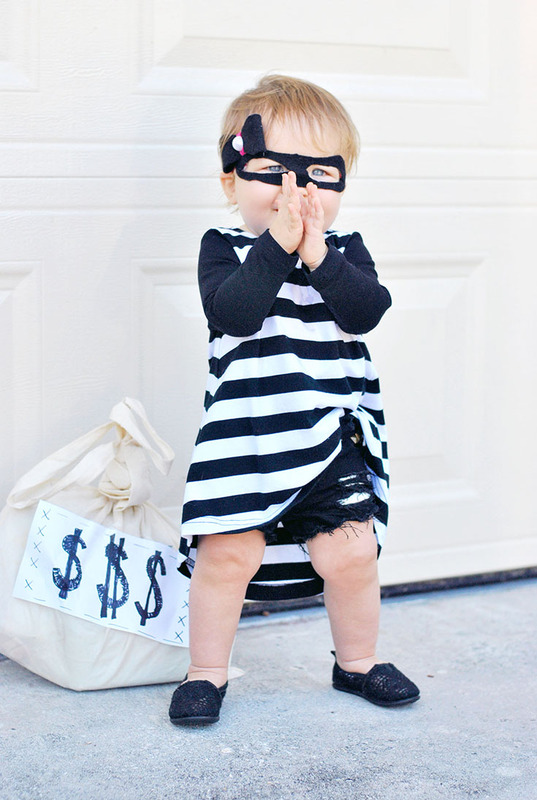 For Miss Delainey's bank robber costume she wore an Oakleigh top from Little Sass Boutique. 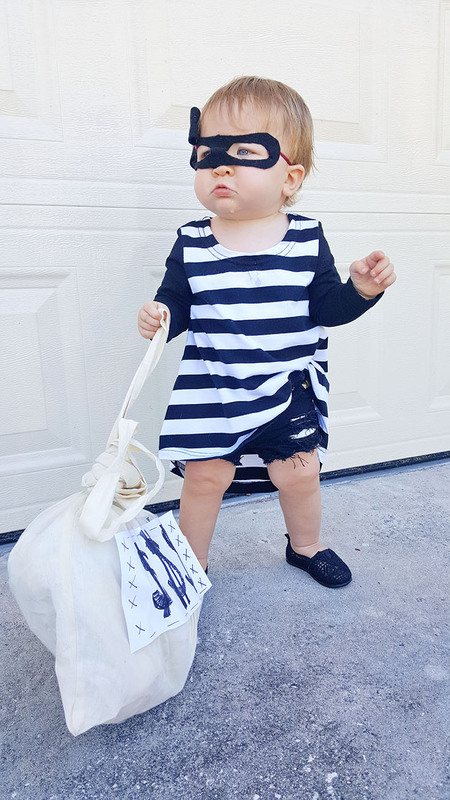 Her Black Distressed & Embellished BOSS shorties are from Baby Bottoms. 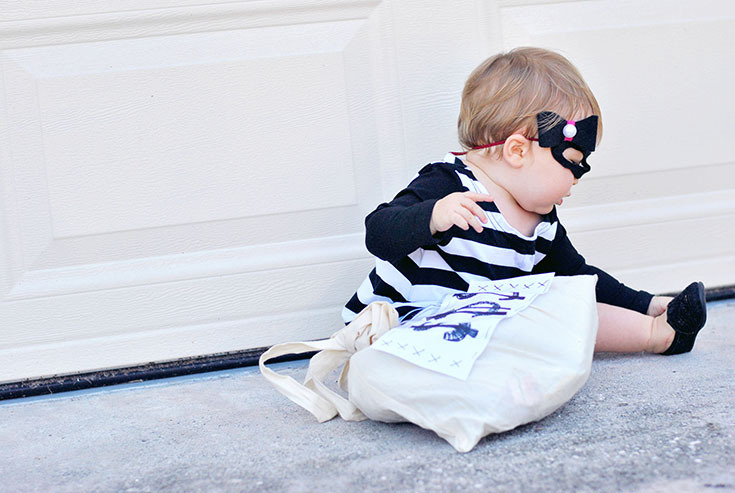 And the finishing touch, the little Bandit mask with a bow was created by Bloomology! For her loot bag we just used an older reusuable grocery bag and attached a little piece of paper with $$$ on it. 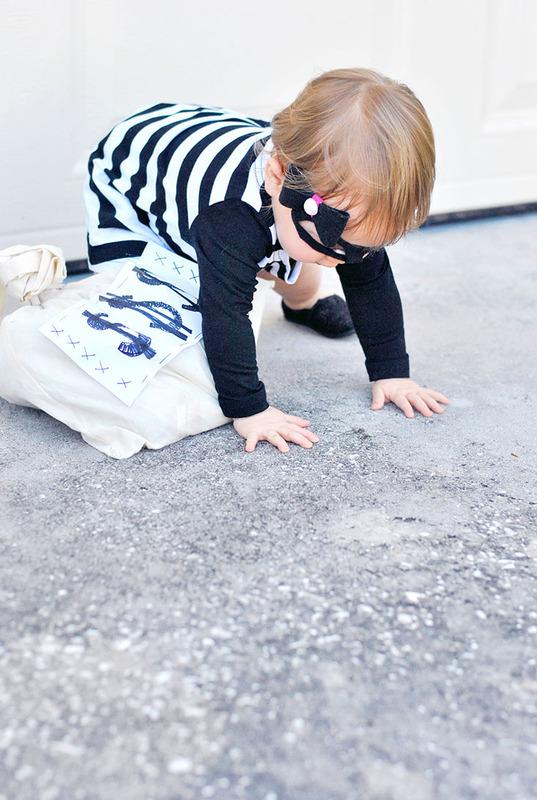 That's it, now you're a "smooth criminal"! 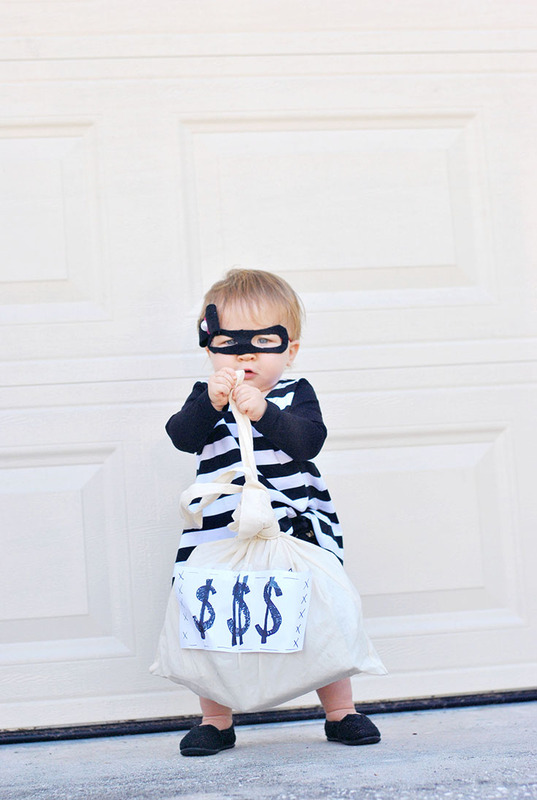 While you may not be able to score these exact items last minute, feel free to "steal" our idea and make it your own! 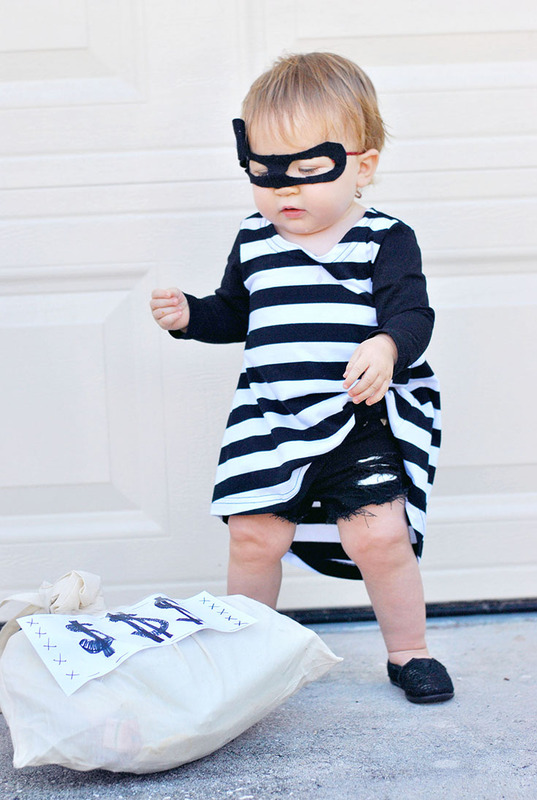 But, here's the thing: This costume is super adorable, so be careful not to get busted and always be ready for a quick getaway... You don't want your babe to catch any excessive cuteness charges while on the prowl.